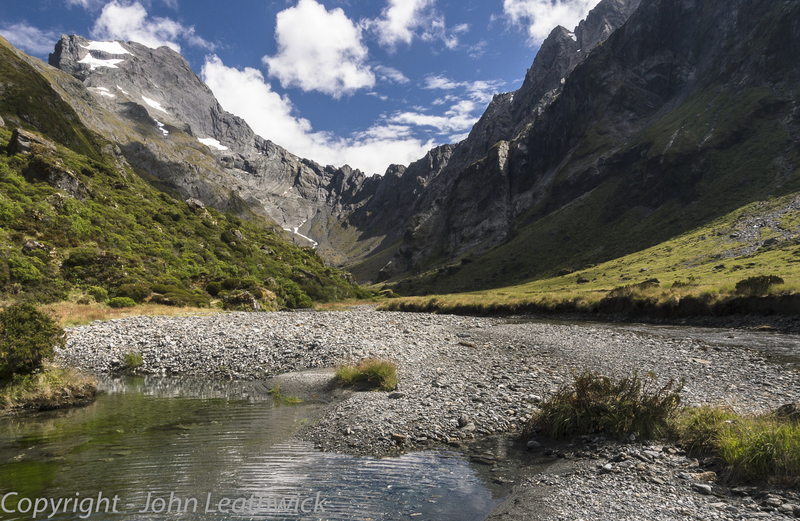 The Young-Wilkin circuit in Aspiring National Park has to be one of the most spectacular multi-day walks I’ve ever done. Dianne and I did this in February 2012 and although it stretched us at times to the limit, we wouldn’t have missed it for anything. We left from Makarora after being dropped off by the bus at the DOC visitor centre. The first day’s walk up the Young River valley started off very kindly, but once past the forks, it climbed steeply, and by 5 pm we were very happy to drop our packs on a grassy river flat and pitch our tent for the night.